Discussion in 'Work in Progress' started by teamrocketboyz, Sep 6, 2017. This led me to start creating a football/ soccer game (only been working on it a few hours) so far the basics are there. sorry for the bad control movement in the video. i was trying to play as both players. At the moment it is 1v1 and im wondering if there has been many football games made using gamemaker studio? I've never seen a soccer game made in Gamemaker before, but I bet you there's been a few. I suggest that you try and deviate from regular soccer, by adding things like power ups or something to spice it up a bit. Just a little heads up for anyone interested...... Frustrating football is still in the works but i have been a little busy lately. 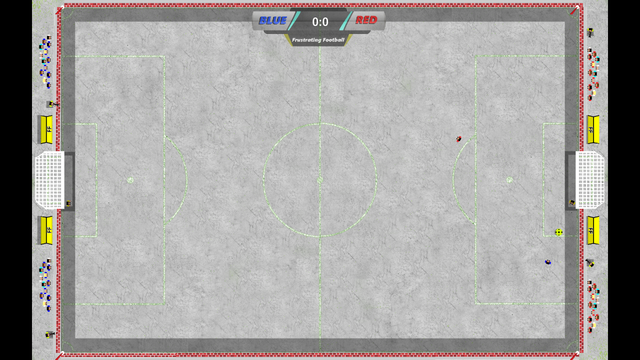 the new format is a 1 on 1 street style soccer game where the first to 3 goals wins. well based of my early tests its actually hard to control so can get rather frustrating and its a play on an old top down soccer game sensible soccer. LOL - yeah, I was mostly joking. 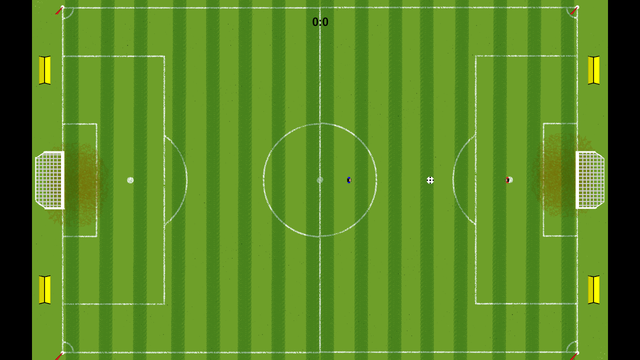 It looks more like one of Dino Dini's game such Kick Off, Player Manager or Goal than Sensible Soccer. Sensible was more of a 3/4 view and definitely wasn't frustrating. sensible soccer was one of the first ever football games i played, along with italia 90 on the sega megadrive. sensible soccer is a favourite of mine and i know th eview isnt the same, this is my second ever game so im trying to do what i can. i have managed to add goalkeepers tonight whick move automatically in line with the ball aswell as to face it and block the ball. Reminds me of Microprose soccer on the C64... man I played the hell outta that game. Looking forward to seeing where this goes, and maybe a playable demo. Id imagine the computer ai will be a challenge to get working well... good learning experience too. Been working on this for a little today so i thought i would add a very small video showing the progress so far. I find the first football field with the grass is more pleasing to the eye. The street field is a bit too bright (grey) for my taste but what really bugs me are the green lines. I think a slightly darker gray and white lines (with a used look) would look better. But maybe that's just me. I made a soccer game too a few years ago but it was made in a very short time span. It has a different perspective (side scroller) and is very silly (cartoon-ish). You can check it out by here. It's called Senior Soccer and the players are old folks (senior citizens).